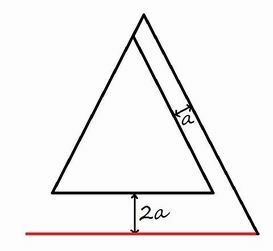 Have you ever seen an impossible triangle? I bet most of you have. 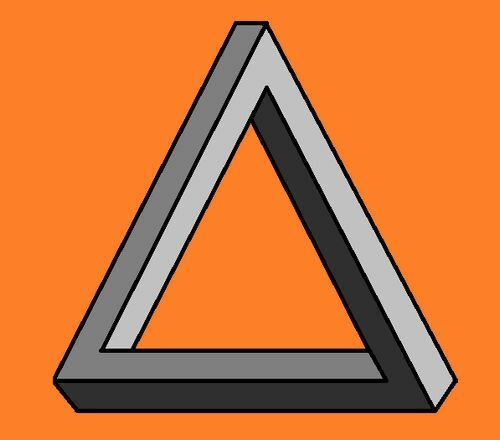 It's also called a "Penrose triangle". 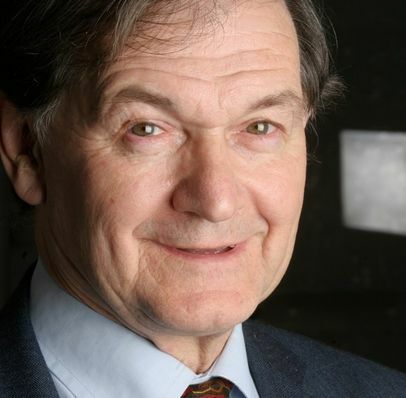 It was devised by Dr. Roger Penrose, an eminent British physicist and mathematician who has done extensive research on the origin of the universe and black holes. He also attempted to explain how the brain works with quantum mechanics, but the validity of his radical hypothesis remains to be tested. 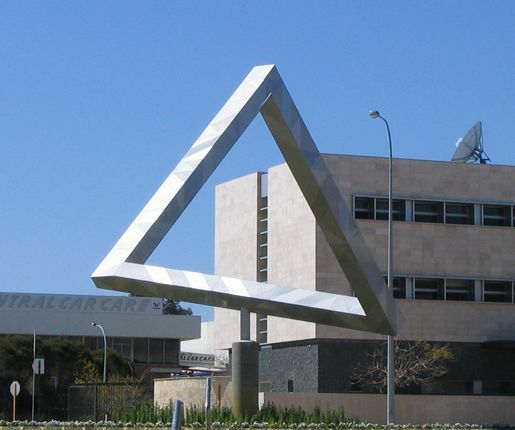 He came up with this triangle, which he calls “impossibility in its purest form”, inspired by the famous artist M. C. Escher, some of whose later works, such as Waterfall, were in turn inspired by the triangle. 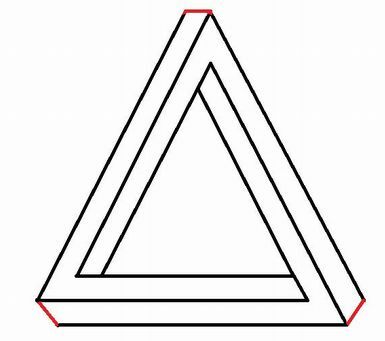 Can you find impossible triangles in this picture? 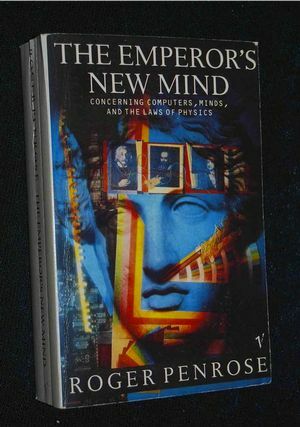 In 1998 Dr. Penrose came to Japan and gave a lecture at Kyoto International Conference Center. I was lucky enough to attend it. As I had expected, most of his lecture went far above my head, but there is one thing I’ll never forget about it. 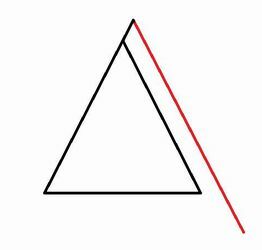 During his lecture, Dr. Penrose mentioned the famous triangle named after him. 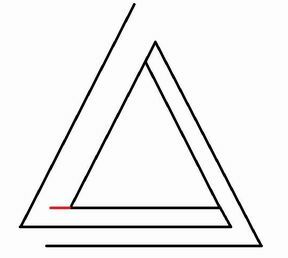 As he explained the significance of the triangle, he started to draw one on the whiteboard. The entire audience held their breath and watched him drawing his brainchild. 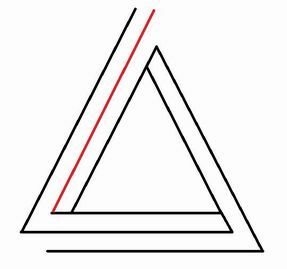 Yes, Penrose was drawing a Penrose triangle himself! When he had drawn almost half of it, he realized that he had made a mistake and couldn’t complete it. He said, “Oops!” and erased it all. He tried again and completed it successfully. With an IQ almost twice mine, he was a human, too, I thought. 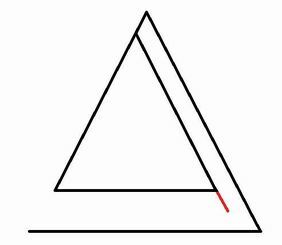 It was great to see Penrose draw a Penrose triangle himself, but it was even more fun to witness him goofing it up! After this experience, I attempted to draw an impossible triangle myself, but I found it extremely difficult. Because, although it looks three-dimensional, actually it isn’t. 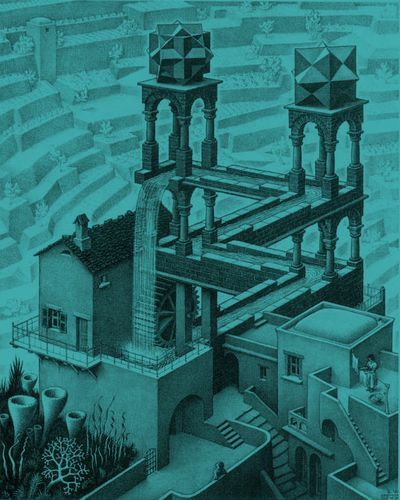 If you try to imagine the shape in a three-dimensional space while you are drawing it, you are bound to fail, as the originator did. After all, that’s why it’s called “impossible”. So you shouldn’t try to draw it as a three-dimensional body but just as a two-dimensional arrangement of lines. 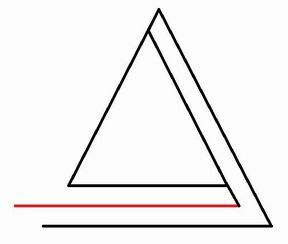 After some trial and error, I came up with a way to draw the triangle pretty easily. I'll show you how step by step. 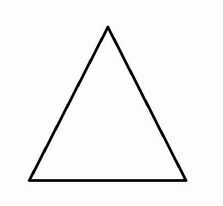 1　Draw a triangle. 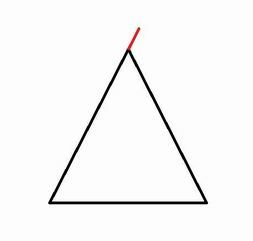 Any triangle is fine, but a right triangle would be the best. 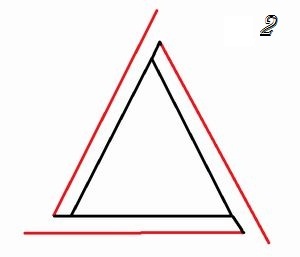 2　Extend the left side of the triangle. 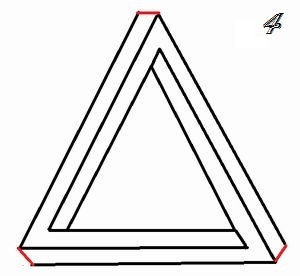 3　From the end of the extended line, draw a line parallel to the right side of the triangle. Extend the line past the right corner as shown above. 4　From the end of the line you have just drawn, draw another line parallel to the base. Be careful about the distance between the line and the base. Make sure that it is twice the distance a shown above. 5　Extend the right side just as you did in 1. 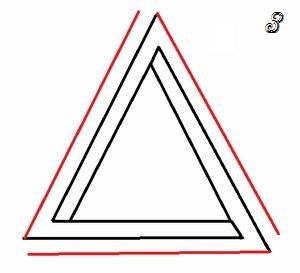 6　From the end of the extended line, draw a line parallel to the base of the triangle. Extend it past the left corner. 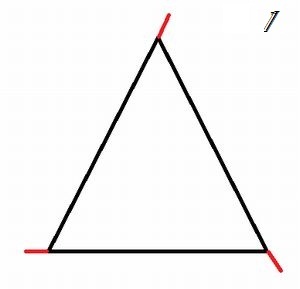 7　From the end of the line you have just drawn, draw another line parallel to the left side of the triangle. Again, be careful about the distance between the line and the left side. Make sure that it is twice the distance a shown above. 8　Extend the base as shown above. 9　Draw a line between the left side and the line you drew in 7. 10　Draw another line down the right side. 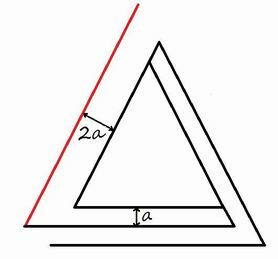 Make sure that the distances between the three lines are equal as shown in the figure. You’re almost there! 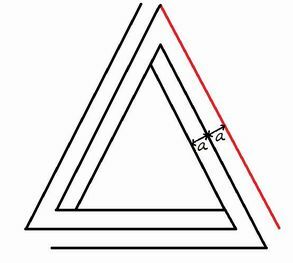 11　Finish your triangle by adding a short line to each corner. 12　Shade it if you want to give it a three-dimensional effect. ★You might find it easier to do the same thing at the three corners at the same time as follows. You might find other clever ways on the Internet.